Following their past sell-out* successes, the much-lauded** Stimmung Choir is back for round three. Now Stimmung is thrilled to introduce you to new New Zealand super-group*** Neon Warwick and the Bethell Gang by singing songs from their debut album Our Lady of the Flowers. For two nights only, Stimmung's 30 voice choir will play host to some of New Zealand's most exciting special guest artists, accompanied by the cast of Last Tapes critically acclaimed Valerie, and other musical guests, this is a night not to be missed. 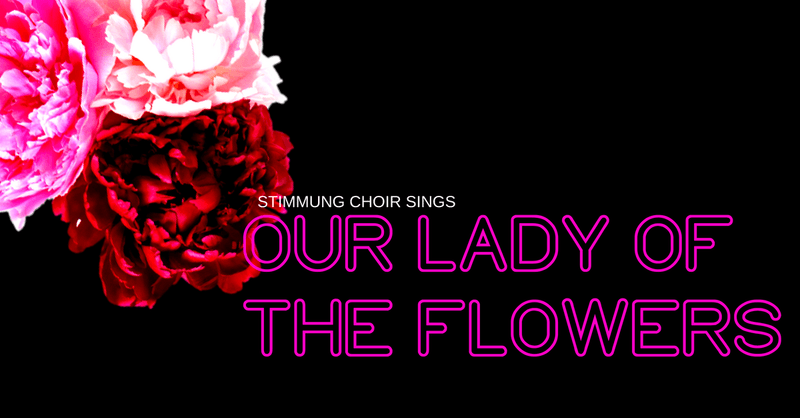 Last Tapes Lovers ticket includes a ticket to Stimmung Sings: Our Lady Of The Flowers and a small donation to Last Tapes. **Best show of the whole year!! - Multiple patrons in Q's bar. ***A bunch of very ordinary guys with some famous muso friends.